In our wildest dreams, enviro-geeks imagine a future in which solar hover cars zip silently by while our homes and factories chug along completely pollutant-free, powered only by the wind and the sun. But, what happens when the wind stops blowing and the sun is on the other side of the planet? The toxic batteries we use to store all that clean energy do not fit nicely into our futuristic imaginings. That’s why Jay Whitacre and his team at Aquion Energy decided to develop a saltwater battery – a battery clean enough that Whitacre has even eaten a piece of the battery’s electrodes. 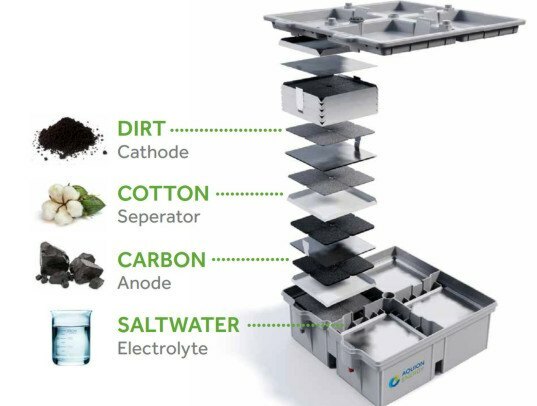 A battery clean enough to eat may belong in a fictional future world, but the Aquion battery, which is not only clean but also has a long life and is relatively inexpensive, is already on the market. 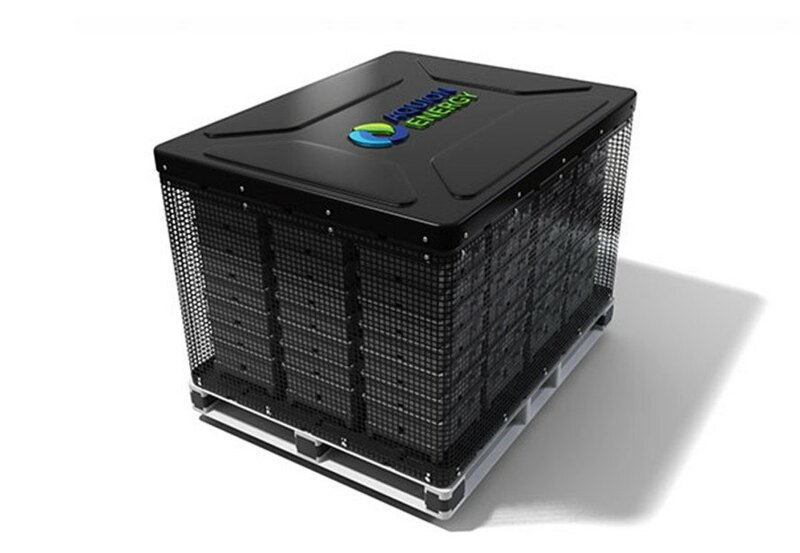 The battery can be used as a stationary storage solution for small operations, like houses equipped with solar or off-grid resorts, but its more exciting application is as a storage solution for large-scale energy farms. It could even be used alongside our existing energy grid, providing a cleaner way for energy utilities to store the excess solar electricity their customers produce during the day. The technology, a twist on the 200-year-old saltwater battery, is made using abundant, non-toxic materials. Although it is a unique solution, it is not without its competitors. Tesla’s gigafactory is set to churn out hundreds of thousands of batteries per year. Some of these will be car batteries, but their Powerwall battery is also intended to store energy for homes and businesses. Ambri, a Boston-based company, is working on a battery that is based on a low-cost liquid metal technology. But for now, the Aquion factory is working at capacity, manufacturing batteries as quickly as it can, for a host of customers around the world. And you market a battery for a competing company... wonder why your comment is full of BS!!! ??? In our wildest dreams, enviro-geeks imagine a future in which solar hover cars zip silently by while our homes and factories chug along completely pollutant-free, powered only by the wind and the sun. But, what happens when the wind stops blowing and the sun is on the other side of the planet? The toxic batteries we use to store all that clean energy do not fit nicely into our futuristic imaginings. That's why Jay Whitacre and his team at Aquion Energy decided to develop a saltwater battery – a battery clean enough that Whitacre has even eaten a piece of the battery's electrodes. The saltwater battery can be used to store energy from large solar arrays. Though the saltwater battery can be used for home energy storage, it is also suitable for large, commercial uses.